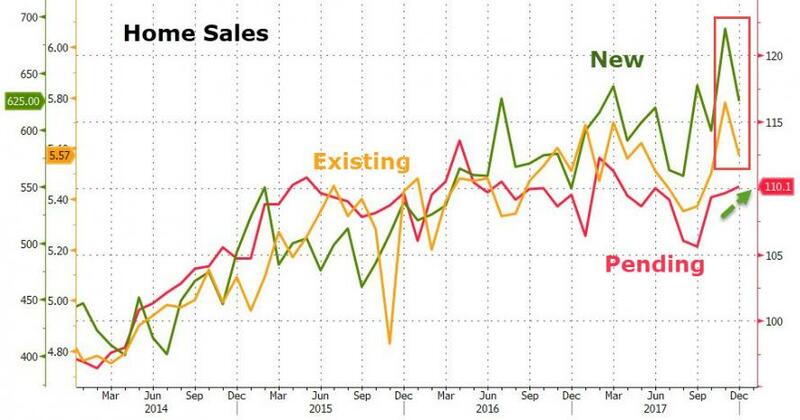 Following the plunge in New- and Existing-Home Sales, expectations for a 0.5% acceleration in Pending Home Sales in December were met. 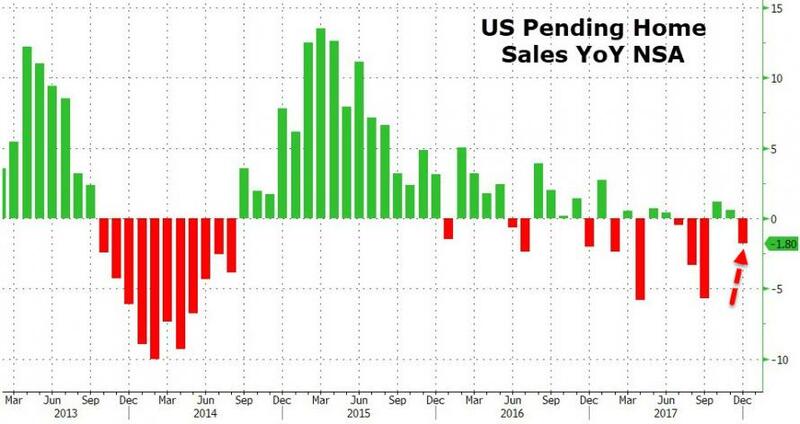 However, YoY, Pending Home Sales NSA dropped 1.8%. Lawrence Yun, NAR chief economist, says pending sales edged up in December and reached their highest level since last March (111.3). 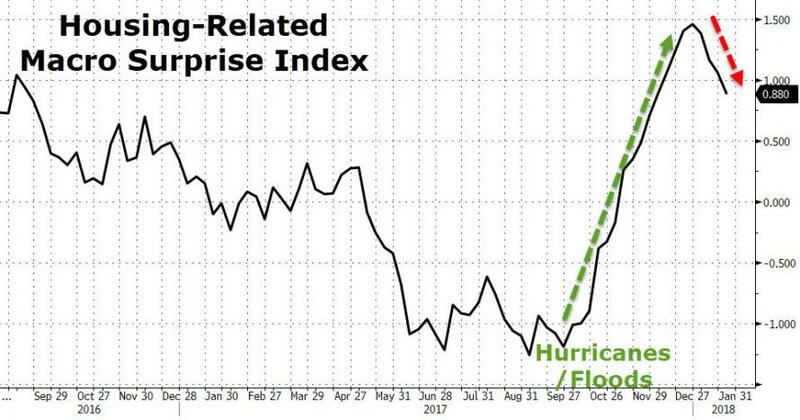 "Another month of modest increases in contract activity is evidence that the housing market has a small trace of momentum at the start of 2018," he said. "Jobs are plentiful, wages are finally climbing and the prospect of higher mortgage rates are perhaps encouraging more aspiring buyers to begin their search now." "Sadly, these positive indicators may not lead to a stronger sales pace. Buyers throughout the country continue to be hamstrung by record low supply levels that are pushing up prices — especially at the lower end of the market." oops "In the short term, the larger paychecks most households will see from the tax cuts may give prospective buyers the ability to save for a larger down payment this year, and the healthy labor economy and job market will continue to boost demand," said Yun. "However, there's no doubt the nation's most expensive markets with high property taxes are going to be adversely impacted by the tax law." "Just how severe is still uncertain, but with homeownership now less incentivized in the tax code, sellers in the upper end of the market may have to adjust their price expectations if they want to trade down or move to less expensive areas. This could in turn lead to both a decrease in sales and home values."